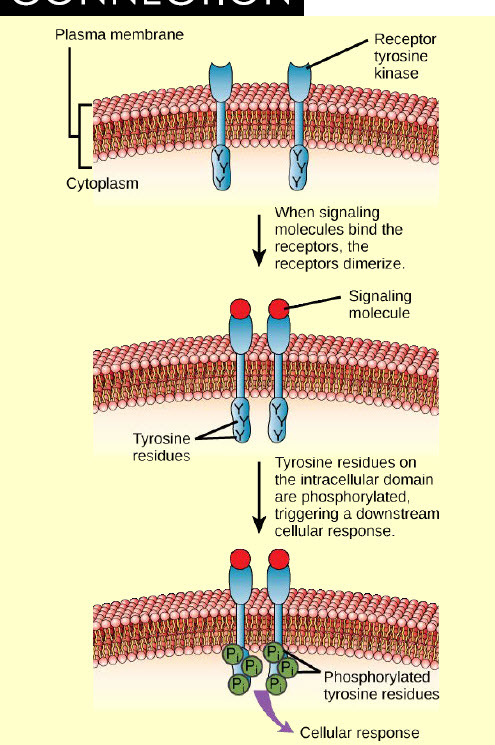 An assignment to insure understanding of key concept concerning cell signaling. 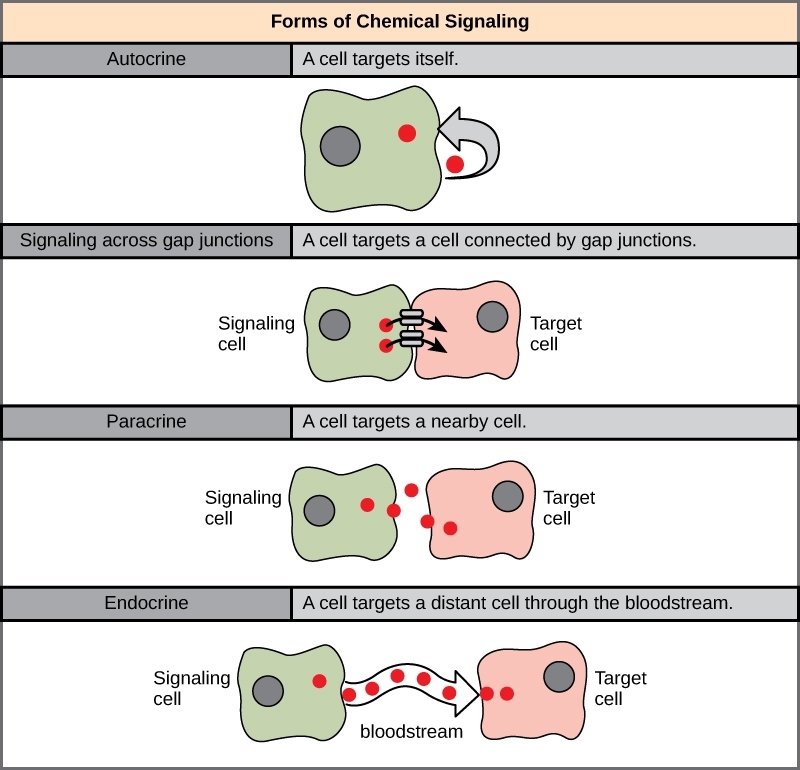 Above is shown the 4 major types of cell communication. Match the following Biological events with the type of cell signaling that BEST matches what is happening in the organism. cell growth (cancer) may occur. 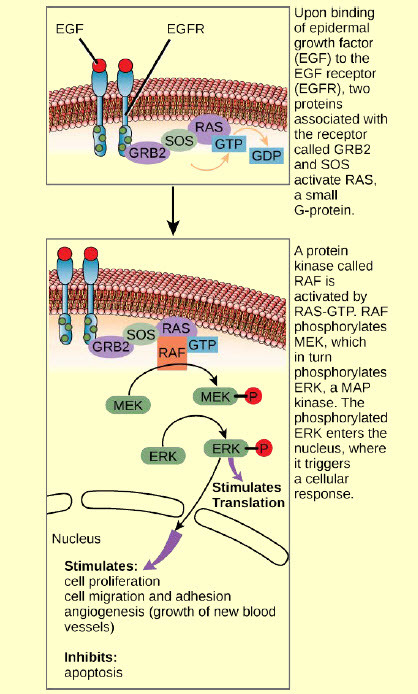 receptors from entering the cell? a. The molecules bind to the extracellular domain.